Once ripened in Cornaiano selected vineyards, this wine reflects these territories harmony, freshness and abundance. Pinot Bianco Leda Doc has been conceived personally by Giancarlo Aneri and is composed of Pinot Bianco grapes 85%, Sauvignon 6%, Muller Thurgau 4% while the other 5% is kept secret. This secretly added vine makes Pinot Bianco Leda Aneri an elegant white wine, whose scents are not too aromatic and that can be enumerated one of the finest wines from Alto Adige. 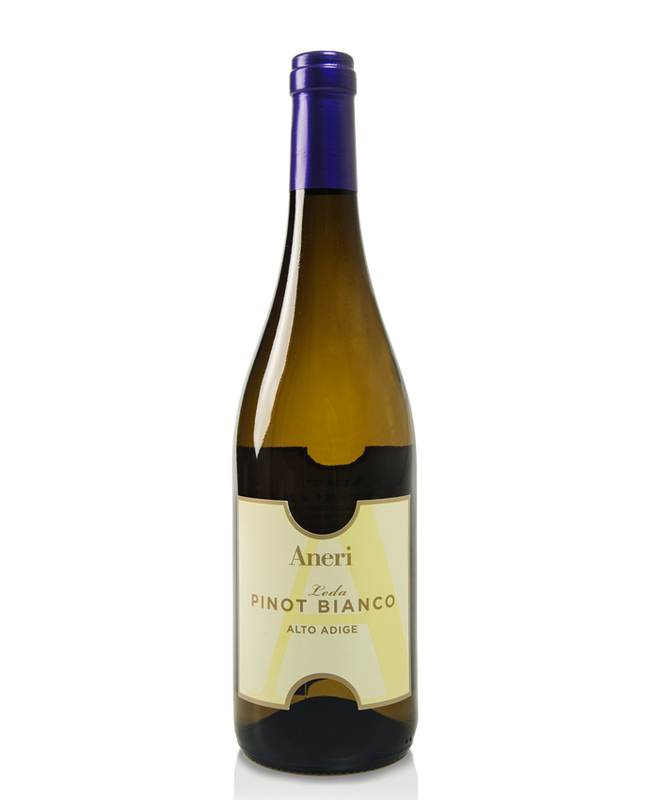 The delicate aroma, with a light scent of apple blossoms and lively flavor make Pinot Bianco Aneri the ideal wine for an aperitif or an excellent accompaniment for white meat and fish. The small amount of Sauvignon and Müller Thurgau give the wine a greater note of freshness and flavor. The ideal serving temperature is 12° C.